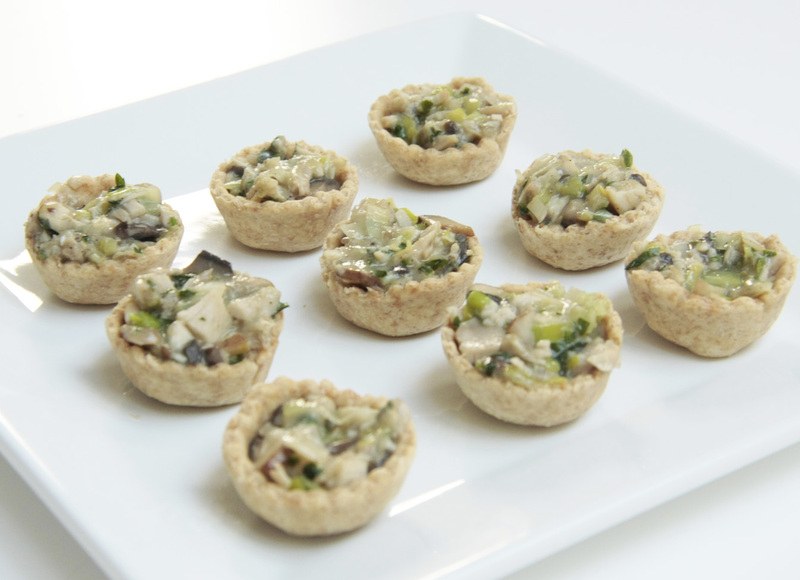 These recipes are designed especially for those that love Canapés but want to know that what you are eating is healthy and not full of fats, sugars and poor quality ingredients. 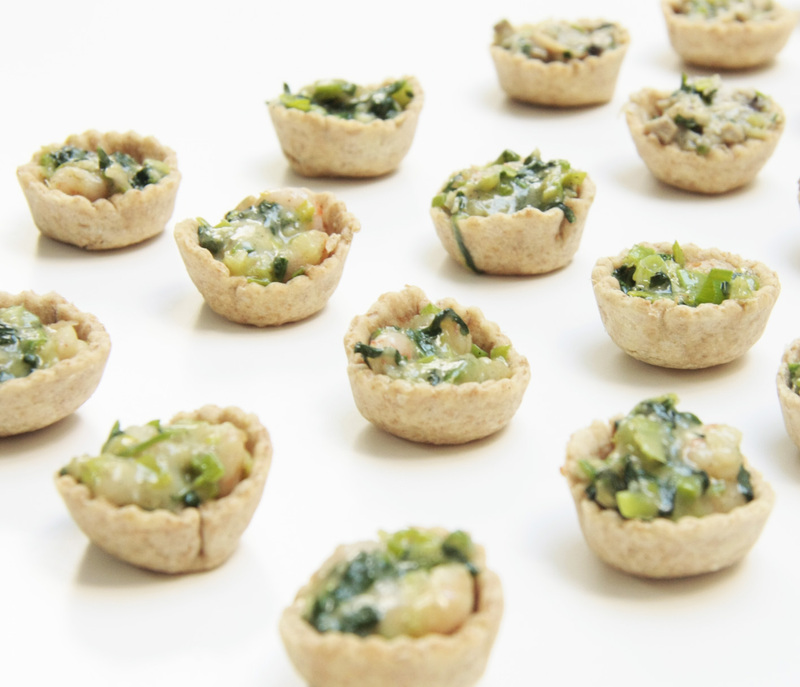 Buying high quality ready-made canapés can be very expensive and making your own can be so much more economical and impressive –and I think much tastier. You will need a baking tray especially for tiny muffins and tarts. There are various brands, I use one from Chefs Kitchen sold in various stores and websites, there are many on the market – they normally have 24 casings. If you plan to make a lot – I would advise you buy a couple of the trays. You will also need something to cut the pastry circles – it should be 6.5 – 7cm, can use a glass if you don’t have a cutter. All the following recipes can be made with or with a food processor, but I try to do most by hand as this does the least damage to the ingredients. A hand mixer can be very useful for the muffins. You may want to consider some large plastic containers with some paper towels to absorb moisture, to store the canapés or large plates with foil cover, as the following recipes will produce quite a few. These are really good for those Christmas drinks parties, or to start your Christmas day dinner. They are chosen for their health promoting properties and wonderful taste. Rapa Dura Sugar is raw cane sugar and full of nutrients including iron, calcium and magnesium. As it is super sweet, less is needed to sweeten foods; it is also a mix of different sugars, which is much healthier for the body. Why not make your sugar a natural mineral supplement. You can purchase from health stores or even online. Coconut Butter is a great alternative to processed vegetable fats and cows butter. Also perfect if you are avoiding dairy. It is a saturated fat so should not be heated to too high a degree, and the actual product should state ‘cold pressed’. Heat and processing can damage the fat structure changing it into an unhealthy fat. Olive oil – instead of butter in pastry. Oat milk – instead of milk. Arrowroot thickener – instead of flour (can get from health stores or order on line). 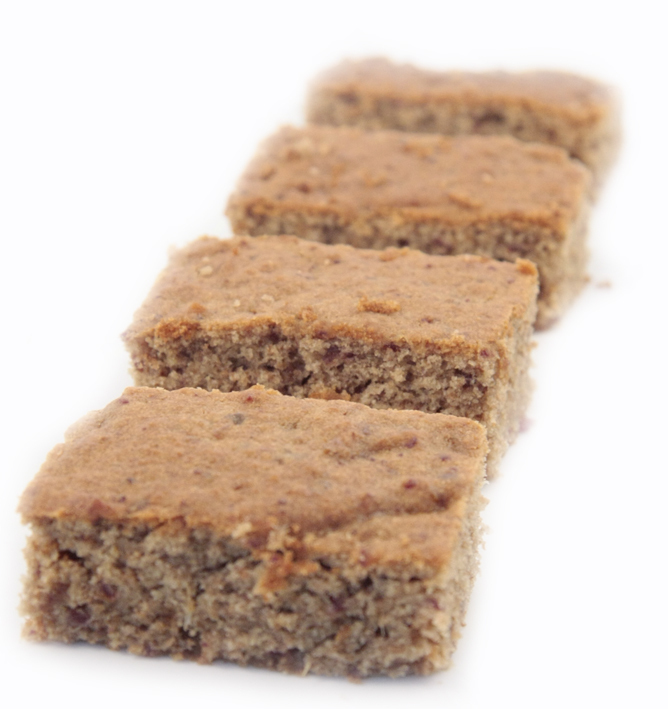 Spelt flour – instead of normal wheat flour – easier to digest and much less gluten. If you are avoiding gluten altogether – try alternative flour like millet and use arrowroot to thicken sauces. Place coconut butter and Rapa Dura sugar in a bowl and mix thoroughly, add the eggs and whisk. Gently mix in flour, baking powder and cocoa powder. Add half the desiccated coconut and mix in. Fill the muffin tray level off mixture so flatter surface. Cook for 15-20 minutes on 160 degrees – test the middle ones with a skewer to check if fully cooked. Remove while still warm, smooth a very small amount of coconut butter on top of each one with a knife and press the rest of the desiccated coconut onto the top. It should stick – place in a fridge or leave to cool. Place flour in a bowel with seasoning and add olive oil slowly, stopping and rubbing it into the flour with fingers, add more until like light crumbs, now add a little water at a time until the crumbs seal together to make a dough – this should not be too dry as it will be difficult to roll or too wet, add more flour if needed. Roll out dough on a small amount of flour to prevent sticking, cut 24 rounds out and gently push down into the tray. See picture. Place in oven for 15 minutes until partially cooked, remove from oven. Finely slice the shallots – for a stronger flavor, you can leave raw – or cook in small amount of olive oil on a low heat until soft but not brown. Place back into heated oven for 15 minutes until all egg cooked. Allow to cool slightly and remove from tray. 5 minutes longer to become crisper. Place a little olive oil in a heated pan, add lemon grass, spring onions and prawns, heat for 2 – 3 minutes stirring. Lower heat. Sprinkle the arrowroot on top and stir in, pour a little water in until there is a small amount of watery sauce (which will be thickened by the arrowroot), add the chopped spinach leaves stir in for 1 minute until leaves are wilted. Remove from heat. 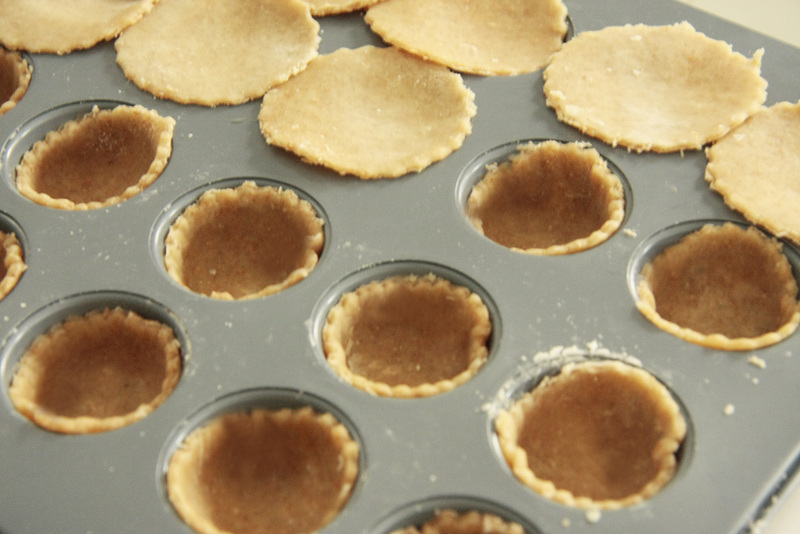 Place a teaspoon full of mixture into each pastry cup. Serve warm or cold. 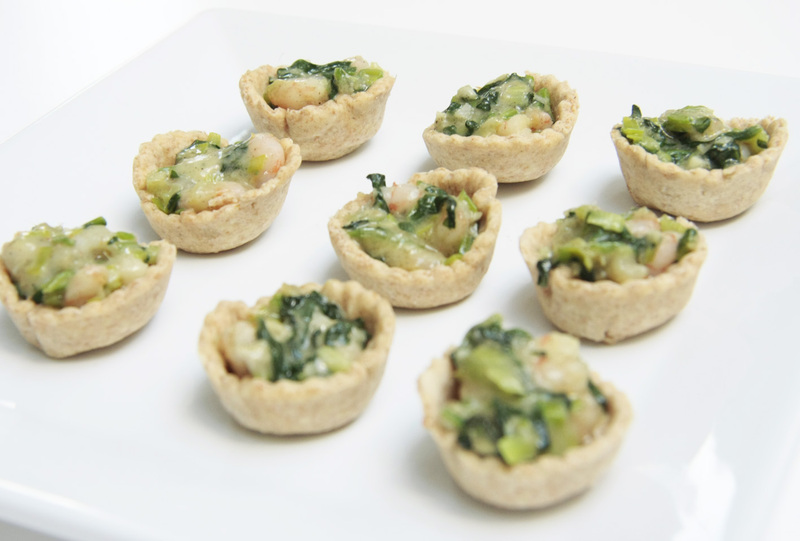 Pastry – create the same way as Prawn and Spinach tartlets. Place olive oil in pan and add chicken and mushrooms stir until chicken well cooked if raw. Lower heat and add leeks. When softened sprinkle the arrowroot powder and stir in, then slowly add some oat milk until a creamy consistency sauce develops. Add parsley and seasoning. Take off heat and cool a little. Add a teaspoonful to each pastry cup. Serve warm or cold. Instead of chicken, double the amount of mushrooms. You can also add different herbs like tarragon or basil. Heat oven to 160 degrees. Place softened butter in a mixing bowl, add Rapa Dura sugar mix in, and then whisk in eggs. Fold in flour, spice and baking powder. Add all the chopped fruit, sunflower seeds and orange rind. 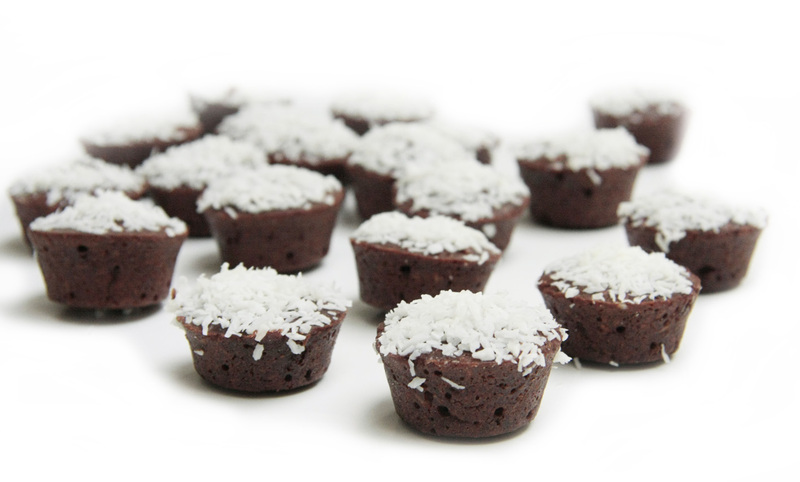 Fill each cup in baking tray to brim and any extra leftover add a little more to each cup. Place in oven for 20 minutes and check if cooked with skewer – if not leave for a further 5-10 minutes. Remove from heat allow to cool slightly, and remove from tray. Store in airtight container so they don’t dry out if you are storing them for later use. 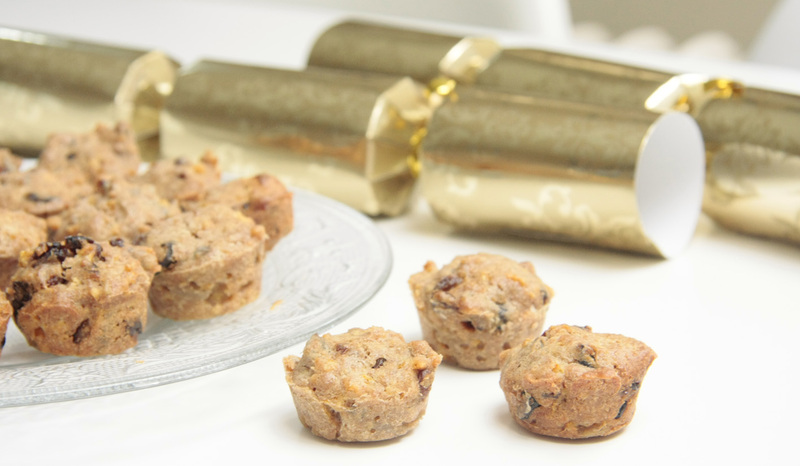 Dates – contain vital nutrients and can help with weight-loss. These are delicious alternative to high sugar brownies in shops. Dates are the only sweetener in them, They are particularly good because even though they are a fruit sugar they contain a lot of soluble fibre and this helps slow the release of glucose and keep blood sugar stable. Soluble fibre also slows the absorption of cholesterol, and helps make soft healthy stools causing less the irritation that insoluble fibre may cause. Dates can be used as a snack as they increase the feeling of satiety, which may help to suppress appetite, so help in weight loss if eaten in moderation. 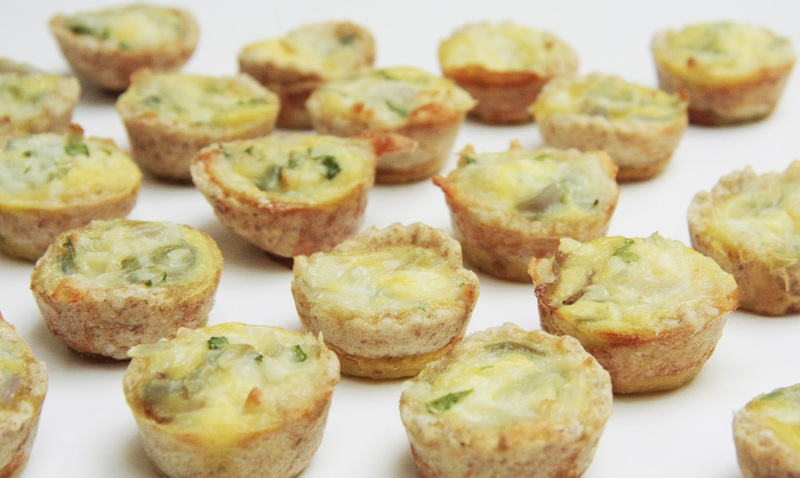 These are a great treat for kids as they contain many nutrients and are high in protein. 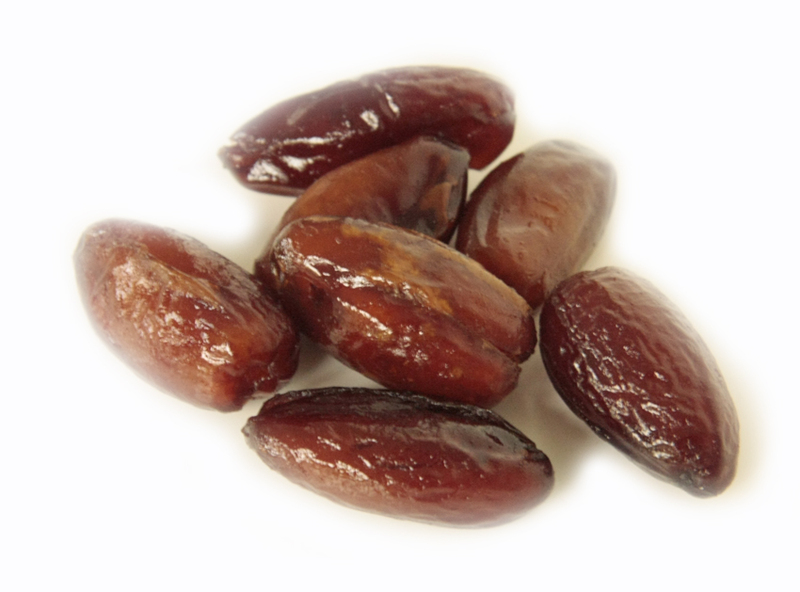 Dates also contain B Vitamins, Potassium, iron, manganese, magnesium and phosphorus. 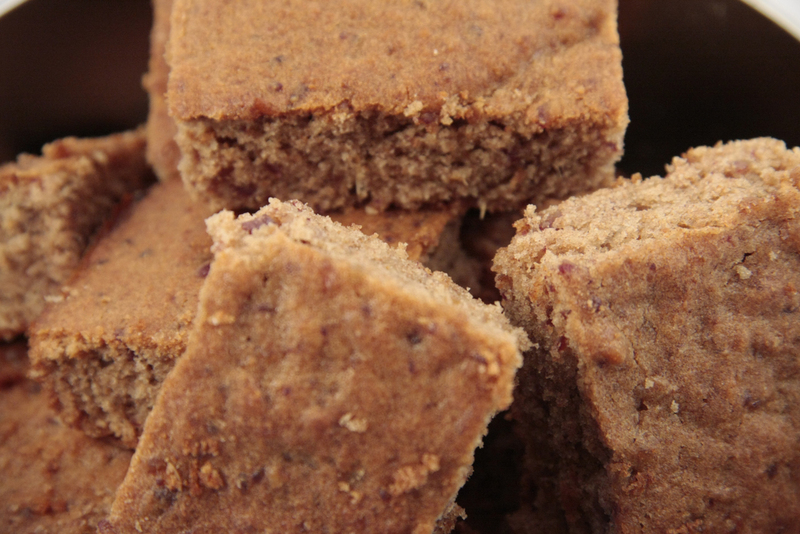 The high mineral content makes it an ideal food to make treats that can replace the empty sugar products that are given to so many children and the ones that people reach for in the afternoon when they experience a dip in energy. They are also high in antioxidants and can be disease protective as they protect against damaged fats. Many super markets and health stores sell great products – always check ingredients that there is no added sugar or vegetable oil and avoid dates with added sugar. Add the eggs and blend, add all the flour, cinnamon and baking powder mix in. You can replace Spelt flour for gluten-free flour if you are avoiding all gluten. overgrowth or are on a sugar-free diet. manipulation of their taste buds. No matter how much the press reports that ‘Chocolate will make you thin’. It cannot – it’s simply untrue in the over processed, fatty, sugary products that most people think of as chocolate. 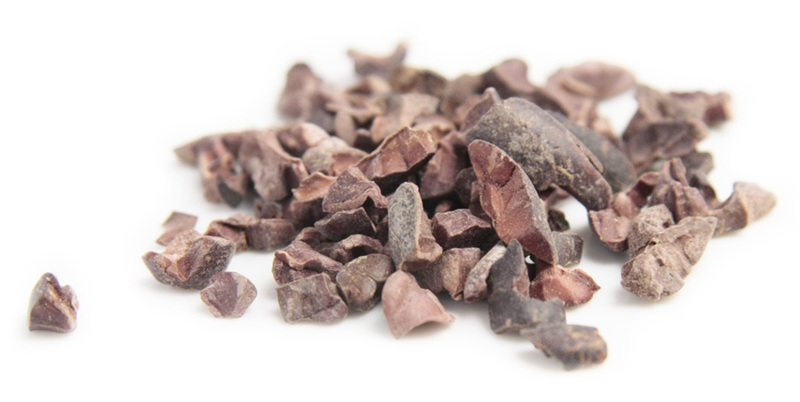 Many products only contain a small amount of cocoa. It’s the high cocoa percentage bars (and I will mention one in particular: Lindt 90% Cocoa – my favourite rationed square) that can be healthy in moderate amounts due to the antioxidants the concentrated chocolate contains. There is far less sugar in them and no dairy. Fair trade dark chocolate is even better because it’s healthier for the environment and the farmers, communities and workers who grow the cocoa bean. It is hard to appreciate very dark chocolate when you are so used to tasting sickly sweet chocolate. Weaning yourself off is simple, you have to go without chocolate for a while and then only allow yourself dark chocolate for at least 3 months. By the time you try milk chocolate again, you most likely will find it way too sweet. add a nutty crunchy texture. OPTION: Add Cinnamon to spice them up, or cayenne pepper to give them a ‘bite’. Place coconut butter in a bowl and gradually mix in the cocoa powder and barley grass into a paste, add molasses and honey and mix well. 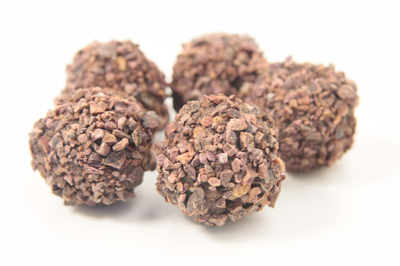 Add puffed quinoa to desired consistency, by adding this you are diluting the amount of fats and sugar in each chocolate. Use thin latex gloves when handing the mixture and dust your fingers with cocoa powder to make the balls easier to roll – don’t use too much as it needs to remain sticky to roll in the ground cocoa nibs. When finished store in an air tight container in the fridge. Impress your friends! They make great petite fours after dinner. Note: These contain caffeine, so avoid if you are on a caffeine free diet, or at night if the caffeine can keep you awake. the white nutrient lacking over sweet, health damaging rubbish that 99% of recipes use. They are made from organic Spelt wheat flour, this has less heavy metals and pesticides and is easier to digest than normal flour. I have used part white part whole grain, but you can use all whole grain if you wish, it will make the them a bit more crumbly. Cardamom has similar properties to cinnamon and ginger – it acts to help calm an improve digestion. 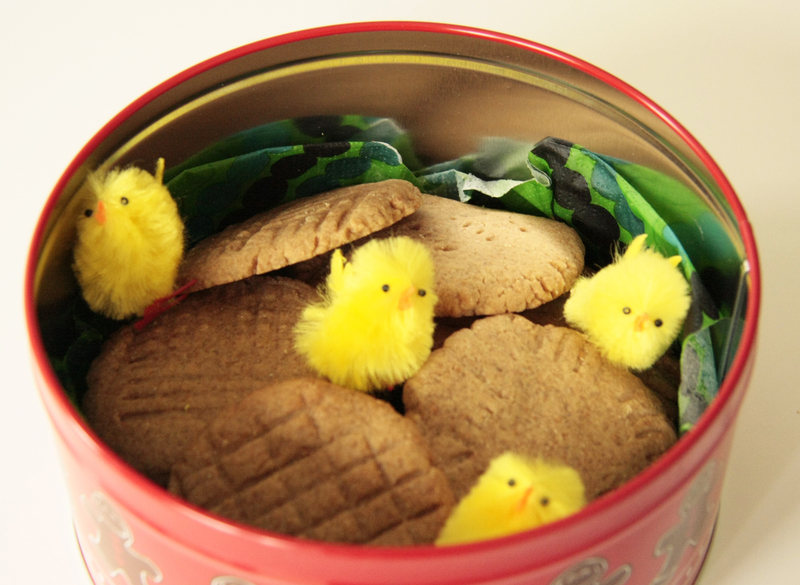 and processed biscuits – they still contain sugar fats and grains. I recommend eating in moderation only. Grate an organic lemon or orange and add rind to mixture. take a desert spoon full and roll between palms into a ball, lay onto the paper on the tray and flatten with your palm or a small plate. Leave to cool and harden.